Shadman, F., & Wu, J. (2018). A Controlled Mixing Method for Stabilizing the Purity and Reducing the Waste in Gas Delivery Systems. Advances in Chemical Engineering and Science , 9, 11-26. Shadman, F., & Wu, J. (2019). A Controlled Mixing Method for Stabilizing the Purity and Reducing the Waste in Gas Delivery Systems. Advances in Chemical Engineering and Science, 9, 11-26 (2019). , 11-26. Shadman, F., & Wu, H. (2018). Impurity Drift and Variations in High-Purity Gas Delivery Systems. International Journal of Engineering and Mathematical Modelling , 2018, 1-9. Shadman, F., Li, M., & Oden, K. (2018). Algae-Based Sorbents for Removal of Gallium from Semiconductor Manufacturing Wastewater. Clean Technologies and Environmental Policy . Shadman, F., Li, M., & Ogden, K. (2018). Analysis and Design of Adsorption Systems for the Combined Removal of Arsenic and Gallium from Wastewater. International Journal of Research in Engineering and Science , 6(8), 1-11. Shadman, F., Nguyen, N., Boitano, S., Field, J., Sierra, R., & Zeng, C. (2018). Cerium Dioxide (CeO2) Nanoparticles Decrease Arsenite (As(III)) Cytotoxicity to 16HBE14o- Human Bronchial Epithelial Cells. Environmental Research . Shadman, F., Ogden, K., & Li, M. (2018). Algae-Based Sorbents for Removal of Gallium from Semiconductor Manufacturing Wastewater. Clean Technologies and Environmental Policy , 2018, 1-9. Shadman, F., Ogedn, K., & Li, M. (2018). Analysis and Design of Adsorption Systems for the Combined Removal of Arsenic and Gallium from Wastewater. International Journal of Research in Engineering and Science, , 6(8), 1-11. Shadman, F., Zhao, M., & Keswani, M. (2018). Gradient Filling of Copper in Porous Silicon using a Non-Contact Electrochemical Method. Applied Surface Science . Shadman, F., Chiang, C. C., Kishore, J., & Srini, R. (2017). Rinsing of High-Aspect-Ratio Feature on Patterned Wafers. IEEE Transactions on Semiconductor Manufacturing , 30(1), 60. Shadman, F., Zeng C, Z. C., Gonzalez-Alvarez, A, G. A., Orenstein, E., O. E., Field, J., F. J., & Sierra-Alvarez, R., S. R. (2017). Ecotoxicity Assessment of Ionic As(III), As(V), In(III) and Ga(III) Species Potentially Released from Novel III-V Semiconductor Materials. Ecotoxicology and Environmental Safety . Shadman, F., Zeng, C., & Sierra, R. (2017). Transport and Abatement of fluorescent silica nanoparticles in saturated porous media: effect of filtration media and ionic strength. Environmental Science: Nano . Shadman, F., Zeng, C., & Sierra-Alvarez, R. (2017). Transport and Abatement of Fluorescent Silica Nanoparticle in Granular Filtration: Effect of Porous Media and Ionic Strength. J. Nano-Particle Research . Shadman, F., & Kishore, J. (2016). A Mathematical Model for Study of Cyclic Purge in Vessels with Complex Geometry. Int. Journal of Eng and Mathematical Modeling , 27(42). Shadman, F., Keswant, M., Zhao, M., Alobeidli, A, A. A., Chen, C. X., Yam, Y. P., Zanelli, Z. C., Maraviov, S, M. S., & M. Nagel, N. (2016). Investigation of Acoustic Cavitation in Aqueous Surfactant Solutions for Cleaning Applications. MRS Advances , 10.1557(313), 5. Shadman, F., Zhao, M., Jakes, K., Luke, K., Kishore, J., Gouk, R., Verhaverbeke, S., & Keswani, M. (2016). Application of Process Simulation for Comparison of Contactless and Conventional Electrodeposition Methods for 3D Packaging. Solid-State Science and Technology , 5, 6. Shadman, F. (2015). Contactless Bottom-Up Electrodeposition of Nickel for 3D Integrated Circuits. Royal Society of Chemistry Advances , 5, 45291-45299. Shadman, F. (2015). Fate of fluorescent core-shell silica nanoparticles during simulated secondary wastewater treatment. Water Research . Shadman, F. (2015). Investigations of Solution Variables in A Contactless Copper Electrodeposition Process for 3D Packaging Applications. Materials Science in Semiconductor Processing , 30(30), 578-584. Shadman, F. (2015). Physical, Chemical, and In Vitro Toxicological Characterization of Nanoparticles in Chemical Mechanical Planarization Suspensions Used in the Semiconductor Industry: Towards Environmental Health and Safety Assessments. Environmental Science: Nano , 227-244. Shadman, F., Kishore, J., Dittler, R., & Geisert, C. (2015). Pressure Cycling for Purging of Dead Spaces in High-Purity Gas Delivery Systems. AIChE Journal , 61(11), 3973 - 3980. Shadman, F. (2014). Computer Modeling of Surface Interactions and Contaminants Transport in Microstructures during the Rinsing of Patterned semiconductor Wafers. Computers and Chemical Engineering , 68(68), 182-189. Shadman, F. (2014). Stability of alumina, ceria, and silica nanoparticles in municipal wastewater. Water Sci. Technol. , 70(70), 1533-1539. Shadman, F. (2014). “Contamination of Ultra-High-Purity Gas Distribution Systems by Back Diffusion of Impurities. Journal of the IEST , 57 (1)(57 (1)), 57 (1). Shadman, F. (2013). Real-Time Monitoring of Nanoparticle Retention in Porous Media. Environmental Chemistry Letters , 11(11), 71-76. Shadman, F. (2013). Recovery and recycling of industrial wastewater by hybrid processes. NATO Science for Peace and Security Series C: Environmental Security , 119, 19-34. Abstract: Modern industries demand large quantities of water at purity levels that are unprecedented in industrial applications. Unless water usage is changed, these processes will not be sustainable. The key solution to reducing water usage and wastewater discharge in the ultra-pure water (UPW) plants is the development of suitable technology for water reuse and recycling. In particular, successful water conservation strategies will require innovations in a number of areas. The ultimate solution to water conservation and sustainability for industrial use lies in some form of reuse and recycling strategy. However, the recycling process is not trivial and involves some challenges. Typically, the success in implementing recycling depends on two major factors: 1. The first requirement would be the availability of robust and low-energy purification processes. This is critical because the environmental issues associated with water usage and wastewater discharge cannot be solved simply by recycling water if the recycling process consumes large amounts of energy. Large energy usage, in addition to being costly, would cancel any environmental gains that may be achieved by water saving. There is no merit in water recycling if for every unit of water recovered and recycled we end up using large amounts of energy. This is particularly important because many of the existing purification methods were not originally developed and optimized to accommodate recovery and reuse. In this article, some novel approaches and technologies based on the use of hybrid systems, their principle of operation and design, as well as the methods for selection and optimization of these promising hybrid systems are presented. 2. The second requirement is the availability of fast-response, real-time, and on-line sensors, and the associated process control strategies to monitor the quality of purified wastewater and protect the system against any unexpected upsets or surges in impurities. In particular, there is a need for robust metrology methods to prevent potential risks associated with water recycling as well as to demonstrate that recycling, when properly designed and implemented, can save water, reduce cost, and improve water quality. The concept of comprehensive and integrated metrology combined with process control is key in both performance improvement and in cost reduction. The application of sensors and advanced process-control are particularly critical for the operation of the hybrid systems. The available technologies in this area, as well as the remaining challenges that would need further research and development, are reviewed. © Springer Science+Business Media Dordrecht 2013. Shadman, F. (2013). Removal of TiO2 Nanoparticles by Porous Media: Effect of Filtration Media and Water Chemistry. Chemical Engineering Journal , 217(217), 212-220. Wang, H., & Shadman, F. (2013). Effect of particle size on the adsorption and desorption properties of oxide nanoparticles. AIChE Journal , 59(5), 1502-1510. Abstract: Using water molecules as a model adsorbing compound, the effect of particle size on the adsorption and desorption properties of porous oxide nanoparticles (NPs) was investigated at different temperatures. The moisture concentration on the surface of NPs was measured by monitoring the infrared spectra peaks corresponding to the stretching vibration of water molecules. A transient multilayer model was developed to represent the fundamental steps in the process. The thermal stability of adsorbed species and the strength of bonding to the surface were evaluated by determining the activation energies of various steps. The results indicate that the surface interaction parameters are both temperature and particle-size-dependent. Smaller NPs have a higher saturated surface concentration and a slower response to purging and desorption. As temperature decreases, NPs exhibit a higher saturated moisture concentration and are more prone to the adsorption of moisture and similar contaminants. © 2012 American Institute of Chemical Engineers. Zamani, D., Dhane, K., Mahdavi, O., McBride, M. A., Yan, J., & Shadman, F. (2013). Surface cleaning of small structures during spin rinsing of patterned substrates. Microelectronic Engineering , 108, 57-65. Abstract: Cleaning and rinsing of small structures are important processes in the manufacturing of micro- and nano-electronics. The latest technology uses "single-wafer spin rinsing'' in which ultra-pure water (UPW) is introduced onto the wafer which is mounted on a rotating holder. This is a complex process and its optimization for lowering water and energy usage requires better understanding of the process fundamentals. A mathematical model is presented in this paper that uses the fundamental physical mechanisms and provides a comprehensive process simulator. The model includes fluid flow, electrostatic effects, and bulk and surface interactions. The simulator is applied to the specific case of investigating the dynamics of rinsing of patterned wafers with hafnium-based high-k micro- and nano-structures. The effects of key rinse process parameters such as water flow rate, wafer spin rate, water temperatures, wafer sizes, and trench locations in the wafer are studied. Successful incorporation of this rinsing simulator in design and control of surface preparation processes would eliminate dependence on costlier and more time-consuming external analysis techniques. © 2013 Elsevier B.V. All rights reserved. Shadman, F. (2012). Environmental challenges in nanoelectronics manufacturing. Current Opinion in Chemical Engineering , 1(3), 258-268. Abstract: Manufacturing in nanoscale is not a simple extrapolation of the current and conventional manufacturing practices. The shift to nanoscale creates both major issues as well as significant opportunities in performance, cost, and environmental impact for the electronics industry. This article focuses on both the positive and the negative environmental impacts of this inevitable paradigm change. The inter-relationship between the three sustainability factors (performance, cost, and environmental impact) for future electronics manufacturing will be analyzed. In particular, the challenges related to resource requirements and utilization (water, energy, and chemicals) are discussed. Examples of unique opportunities for environmental gain that nanoscale manufacturing can provide are presented. © 2012 Elsevier Ltd. All rights reserved. Zamani, D., Keswani, M., Mahdavi, O., Yan, J., Raghavan, S., & Shadman, F. (2012). Dynamics of interactions between HF and hafnium oxide during surface preparation of high-k dielectrics. IEEE Transactions on Semiconductor Manufacturing , 25(3), 511-515. Abstract: The interactions of HF with hafnium oxide are important aspects of the post-etch cleaning of high-k dielectrics. The dynamics of these interactions during typical wafer rinsing are studied using a quartz crystal microbalance (QCM) equipped with a flow-through cell. A process model is developed showing that the overall rinse process consists of three simultaneous steps: adsorption, desorption, and etching involving fluoride species. The model is validated using the experimental data obtained in QCM. The key parameters of these process steps, namely, adsorption, desorption, and etch rate coefficients are determined using the combined experimental measurement and process modeling. © 1988-2012 IEEE. Dhane, K., Han, J., Yan, J., Mahdavi, O., Zamani, D., Vermeire, B., & Shadman, F. (2011). Dynamics of cleaning and rinsing of micro and nano structures in single-wafer cleaning tools. IEEE Transactions on Semiconductor Manufacturing , 24(1), 125-133. Abstract: Surface cleaning of patterned wafers by batch processing has become a challenge as semiconductor fabrication moves deeper into submicron technology nodes and utilizes larger wafer sizes. Many fabrication plants (fabs) have already employed single wafer cleaning tools. A key challenge in the application of single-wafer processing tools, compared to conventional multi-wafer batch tools, is their lower throughput. Typical surface cleaning consists of exposure to a chemistry intended to remove contaminants, followed by rinsing with ultrapure water, followed by drying. To help reduce cycle time and to minimize resource consumption during rinse processes while producing a highly clean surface, a novel in situ metrology has been developed for the detection of trace residual impurities in fine structures of patterned wafers during surface preparation processes. This technology includes both hardware for in situ measurement of impurities and software for process data analysis. The technology can be used for on-line control in existing processes as well as for development and testing of new recipes and processes. In this paper, the effects of the key rinse process parameters such as water flow rate, wafer spin rate, and water temperatures are studied. Successful incorporation of this metrology into surface preparation steps will eliminate dependence on costlier and more time-consuming external analysis techniques. © 2006 IEEE. Wang, H., Yao, J., & Shadman, F. (2011). Characterization of the surface properties of nanoparticles using moisture adsorption dynamic profiling. Chemical Engineering Science , 66(12), 2545-2553. Abstract: Adsorption and retention of molecular contaminants on nanoparticles (NPs) is a major factor in determining the environmental and health effects of the particles. A method has been developed for characterizing the surface properties that contribute to the adsorption and desorption interactions. This method uses a sample cell and an in-situ FTIR to obtain the time profiles of dynamic interactions of adsorbing species on NP samples. The results are then analyzed using a process simulator to determine the fundamental properties such as capacity, affinity, rate expressions, and activation energies of NP interactions with contaminants. The method is illustrated using moisture as a representative model compound and particles of SiO2, HfO2, and CeO2, which are three oxides used in semiconductor manufacturing. The results indicate that the surface interaction parameters are both species and particle size dependent. SiO2 has the highest adsorption capacity and therefore most prone to the adsorption of moisture and similar contaminants. However, the affinity of the NPs for H2O retention is highest for CeO2 and lowest for SiO2. Factors contributing to the environmental and health impact of NPs (extent of surface coverage, capacity, activation energy of retention) are higher for smaller particles of the same oxide. © 2011 Elsevier Ltd.
Zamani, D., Keswani, M., Yan, J., Raghavan, S., & Shadman, F. (2011). Determining the fundamental kinetic parameters for rinsing and cleaning of hafnium-based high-k materials. ECS Transactions , 41(5), 45-50. Abstract: The interactions of HF with hafnium oxide are important during post-etch cleaning of high-k dielectrics. The dynamics of these interactions during the rinse process are studied using a quartz crystal microbalance (QCM) equipped with a flow-through cell. A process model is developed showing that the overall process consists of three simultaneous process steps: adsorption, desorption and etching involving fluoride species. The model was validated using the experimental data obtained in QCM. The key parameters of these process steps namely adsorption, desorption and etch rate coefficients were determined using the combined experimental measurement and process modeling. ©The Electrochemical Society. Yao, J., Wang, H., Dittler, R., Geisert, C., & Shadman, F. (2010). Application of pressure-cycle purge (PCP) in dry-down of ultra-high-purity gas distribution systems. Chemical Engineering Science , 65(17), 5041-5050. Abstract: The existence of trace amounts of moisture in process gases could adversely affect the fabrication of semiconductor devices. One important and practical challenge in transporting ultra-high-purity (UHP) gases from the point-of-storage (POS) to the point-of-use (POU) is the susceptibility of the gas distribution systems to molecular contaminants, especially moisture. In modern micro/nanoelectronic manufacturing plants, the moisture content at the POU has to satisfy very stringent specifications. Once a distribution system is contaminated, a significant amount of purge time is required to recover the system background due to the strong interactions between moisture molecules and the inner surfaces of the components in a gas distribution system. Because of the very high cost of UHP gases and factory downtime, it is critical for high-volume semiconductor manufacturers to reduce purge gas usage as well as purge time during the dry-down process. In the present work, a combination of experimental investigation and process simulations is used to compare the traditional steady-state purge (SSP), which typically is operated at constant pressure and flow rate, with the pressure-cycle purge (PCP) process in which the pressure and flow rate are cycled at a controlled frequency and interval. The results show that under certain conditions the new PCP process has significant advantages over the SSP process; for example, it reduces the purge time and gas usage when the gas purity at POU is the principal concern. This conclusion was confirmed by the experimental investigation on lab-scale gas distribution test beds as well as by the simulation of industrial scale systems. The process model developed and used in this work couples gas phase transport processes with surface adsorption/desorption and the purge schedule introduced by pressure variation in the system. This model is then validated using experimental results under various operating conditions. The process simulator is a useful tool for industrial applications in parametric studies and purge process optimization. The effect of key operational parameters, such as start time of PCP process as well as choice of PCP patterns in the PCP process, are presented. © 2010 Elsevier Ltd.
Zhang, X., Yan, J., Vermeire, B., Shadman, F., & Chae, J. (2010). Passive Wireless Monitoring of Wafer Cleanliness during Rinsing of Semiconductor Wafers. IEEE Sensors Journal , 10(6), 1048-1055. Abstract: Semiconductor facilities consume large amounts of water, most of which is used for rinsing of wafers during cleaning steps. To optimize water use, real-time and in situ monitoring of wafer cleanliness during rinsing is necessary. Yet no prior art is real-time and in situ. In this paper, we present a passive wireless sensing system capable of measuring the residual contamination on the wafers in real-time and in situ. The wireless system consists of a micromachined Electro-Chemical Residue Sensor (ECRS) and wireless transponder circuitry based on RFID technology. The ECRS measures the impurities concentration of the water inside micro-features during the rinsing processes. The sensor reading is converted to a frequency by the on-wafer transponder and remotely logged through a wireless link between two coupled inductors, while the transponder captures power from the remote RF signal: a battery-free system. A prototype system was fabricated and its frequency output was characterized by using sodium chloride solution ranging from 190 ppb to 6 ppm. The measured wireless chemical sensor system has a relative uncertainty of less than 1% in the concentration range. © 2006 IEEE. Juneja, H. S., Yao, J., & Shadman, F. (2009). Effect of sampling line characteristics on the dynamic monitoring of fluid concentrations. Industrial and Engineering Chemistry Research , 48(11), 5481-5488. Abstract: A novel approach is developed and demonstrated to characterize the sampling line effects during dynamic monitoring of fluid concentrations. The "sampling line" in this study refers to all components between the point of fluid sampling and the point of analyzer sensor. In general, sampling lines introduce errors in measurements by altering the sample properties due to the fluid transport in the line as well as the adsorption and desorption of fluid constituents on the surfaces of the sampling components that come into contact with the sample fluid. A methodology based on a sampling line simulator is developed for taking these effects into account and correcting the measurements. The model is validated by direct experimental measurements using several different analyzers under various conditions. The sampling line simulator can be used to analyze the effect of various sampling configurations and operating conditions; this would be helpful in the design of sampling lines and their location. An algorithm is proposed that can be used to convert concentration values measured and reported by the analyzer to the concentration values at the point of sampling that are the actual and desired values. Yan, J., Dhane, K., Vermeire, B., & Shadman, F. (2009). In situ and real-time metrology during rinsing of micro- and nano-structures. Microelectronic Engineering , 86(2), 199-205. Abstract: A new technology, called electro-chemical residue sensor (ECRS), has been developed for the in situ and real-time measurement of the residual impurities left on the wafer surface and in the fine structures of patterned wafers during typical rinse processes. The key components of this technology, which consist of the sensor hardware and a process model, are described. The testing results of the ECRS show that the residual impurity concentration is significantly different from what is typically provided by the bulk water resistivity, which is usually employed for determining the progress of the rinse. As a case study, the new metrology method has been applied to the removal of sulfate ions from patterned wafers; the importance of various surface interactions, charge effects, and transport processes is determined. Two examples of the use of the ECRS for the development of novel rinse recipes to reduce water usage are also discussed. © 2008 Elsevier B.V. All rights reserved. Shadman, F. (2008). Environmental challenges and opportunities in nanoelectronics manufacturing. Proceedings - Electrochemical Society , PV 2008-1, 641-644. Abstract: Manufacturing in nano-scale is not a simple extrapolation of the current and conventional manufacturing practices. The shift to nano-scale creates both major issues as well as significant opportunities in performance, cost, and environmental impact for the electronics industry. There are both positive and the negative environmental impacts of this inevitable paradigm change. The inter-relationship between the three sustainability factors (performance, cost, and environmental impact) for future electronics manufacturing are analyzed. In particular, the challenges related to resource requirements and utilization (water, energy, and chemicals) are discussed. Iqbal, A., Yao, J., Juneja, H., Shadman, F., & Sperline, R. P. (2007). In-situ characterization of dynamics of impurity absorption and outgassing in porous low-k dielectric thin films. AIChE Annual Meeting, Conference Proceedings . Yao, J., Iqbal, A., Juneja, H., & Shadman, F. (2007). Moisture uptake and outgassing in patterned and capped porous low- k dielectric films. Journal of the Electrochemical Society , 154(10), G199-G206. Abstract: The interactions of moisture with spin-on porous methylsilsesquioxane (p-MSQ) low- k dielectric films are investigated by on-line and real-time measurement of the rates of moisture uptake and removal. A process model is developed that provides information on the dynamics of moisture adsorption and desorption processes. The process model can be used to find optimum purge temperature and gas purity condition for cleaning and drying of low- k films. The cured p-MSQ films are compared with the partially etched and N2 H2 ashed films. The results show that these two films have similar moisture solubilities; however, the moisture diffusivity in the patterned film is considerably higher. Transmission electron microscope results show that the etching and ashing processes not only decrease the overall film thickness but also increase the film porosity. The process model also provides information on moisture distribution within the film; this information is important in characterizing residual moisture and interfacial adhesion. The results for a wide range of diffusivity show that thin cap layers with low moisture solubility effectively block moisture penetration into the p-MSQ film without slowing down the outgassing and moisture removal during the purge. © 2007 The Electrochemical Society. Iqbal, A., Juneja, H., Yao, J., & Shadman, F. (2006). Removal of moisture contamination from porous polymeric low-k dielectric films. AIChE Journal , 52(4), 1586-1593. Abstract: Ultra low-k dielectrics are expected to replace SiO 2 as the interlayer dielectric for the next-generation microelectronic devices. A challenge facing the integration of these dielectrics in manufacturing is their interactions with gaseous contaminants, such as moisture, and the resulting change in their properties. The physical and chemical interactions of moisture with porous spin-on dielectric material are investigated using temperature- and concentration-programmed exposure and purge sequence together with trace moisture analysis, using atmospheric pressure ionization mass spectrometry. The model compound in this study is methylsilsesquioxane, deposited and treated under typical manufacturing conditions. A process model is developed that provides information on the mechanism and kinetics of moisture uptake and release in thin porous films. The model elucidates the effect of film properties on the contamination uptake as well as outgassing; it also provides a valuable tool for designing an optimum process for contamination control and removal in porous films. © 2006 American Institute of Chemical Engineers. Juneja, H. S., Iqbal, A., Yao, J., & Shadman, F. (2006). Mechanism and kinetics of nonequilibrium and multilayer adsorption and desorption of gases on solids. Industrial and Engineering Chemistry Research , 45(19), 6585-6593. Abstract: A novel approach to the characterization of dynamic interactions of gases with solid surfaces is developed. A model is developed to represent the simultaneous adsorption and desorption processes in these systems. The model can simulate properties of nonequilibrium adsorption and desorption processes as well as the equilibrium state (isotherms and isobars). It also provides information on the distribution of loading of tightly bound molecules as the first layer on the surface as well as loosely bound physisorbed molecules as the upper layers during a transient process and at the equilibrium state. The model is validated and applied to the adsorption of moisture on oxides (ZrO 2 and HfO 2). Practical application of this work is shown by optimizing the purge recipes for removal of moisture from ZrO 2 film. Optimization helps in lowering gas and energy consumption as well as reducing the purge times. © 2006 American Chemical Society. Philipossian, A., Shadman, F., Levy, P., Tousi, S., Gotlinsk, B., Rader, W. S., Lefevre, P., & Koshiyama, I. (2005). Characterizing recycled fumed silica slurries in ILD CMP applications. MICRO , 23(6), 71-82. Abstract: Characteristics of recycle fumed silica slurries in interlayer dielectric (ILD) chemical-mechanical polishing (CMP) applications were investigated. All polishing experiments were performed on 100-mm thermally grown SiO2 wafers using a scaled version of a 472 polisher. Recycled slurry decreases the CMP removal rate and reduces the coefficient of friction, effects that are only partially alleviated by slurry filtering. The results show that filtration can reduce defects during CMP processing and is used as means of removing agglomerated particles or foreign materials that may have been introduced into the slurry as a result of ILD polishing. Raghu, P., Yim, C., Iqbal, A., Shadman, F., Shero, E., & Verghese, M. (2004). Mechanistic study of surface contamination of dielectric oxides using isotope labeling. Industrial and Engineering Chemistry Research , 43(12), 2977-2985. Abstract: Surface molecular contamination of gate dielectrics in metal oxide semiconductor structures is a problem affecting the performance of integrated circuits. The impact depends strongly on the nature of the interactions between the contaminants and the dielectric surfaces. The mechanism of interactions of moisture and isopropyl alcohol (IPA) with SiO2 and ZrO2 films was studied using isotope labeling with deuterium oxide (D2O). The results revealed that H2O adsorbs in a random multilayer configuration with three distinct types of interactions (hydroxylation of oxide in the first layer, MOH-H2O interactions in the second layer, and nondissociative H2O-H2O interactions in the higher layers). On the basis of these findings, a multilayer multicomponent adsorption/desorption model was developed that agrees well with the experimental data. The adsorption of IPA also follows multilayer dynamics. The interaction with the bare dielectric surface is nondissociative and relatively weak. However, IPA chemisorbs on a hydroxylated oxide. The isotope labeling studies revealed an exchange mechanism in which IPA undergoes an esterification reaction with chemisorbed H2O. Raghu, P., Yim, C., Shadman, F., & Shero, E. (2004). Susceptibility of SiO2, ZrO2, and HfO2 dielectrics to moisture contamination. AIChE Journal , 50(8), 1881-1888. Abstract: Moisture contamination of HfO2 and ZrO2 ultrathin dielectric films, deposited by atomic layer chemical vapor deposition (ALCVD™), is investigated and compared to that of native SiO2. Results show that HfO2 and ZrO2 surfaces adsorb higher amounts of moisture and bind moisture more strongly than SiO2 surfaces. A multilayer model is developed to represent the dynamics of moisture interaction with these three oxides. Using this model, the fundamental kinetic parameters are determined. The adsorption rate constants are of the same order of magnitude for all three surfaces. However, the desorption rate constants for ZrO2 and HfO2 are almost three orders of magnitude lower than that for SiO2. Activation energies for desorption of water molecules from the first two layers are 33, 27, and 19 kJ/mol, for ZrO 2, HfO2, and SiO2, respectively. Results obtained in this study suggest that the HfO2 and ZrO2, as the new dielectric materials, are more prone to moisture contamination than SiO2. © 2004 American Institute of Chemical Engineers. Shadman, F., McManus, T. J., Williams, E. D., Ayres, R. U., & Heller, M. (2004). Comment on "The 1.7 Kilogram Microchip: Energy and Material Use in the Production of Semiconductor Devices" . Environmental Science and Technology , 38(6), 1915-1917. Sorooshian, J., DeNardis, D., Charns, L., Li, Z., Shadman, F., Boning, D., Hetherington, D., & Philipossian, A. (2004). Arrhenius Characterization of ILD and Copper CMP Processes. Journal of the Electrochemical Society , 151(2), G85-G88. Abstract: To date, chemical mechanical planarization (CMP) models have relied heavily on parameters such as pressure, velocity, slurry, and pad properties to describe material removal rates. One key parameter, temperature, which can impact both the mechanical and chemical facets of the CMP process, is often neglected. Using a modified definition of the generalized Preston's equation with the inclusion of an Arrhenius relationship, thermally controlled polishing experiments are shown to quantify the contribution of temperature to the relative magnitude of the thermally dependent and thermally independent aspects of copper and interlayer dielectric (ILD) CMP. The newly defined Preston's equation includes a modified definition of the activation energy parameter contained in the Arrhenius portion, the combined activation energy, which describes all events (chemical or mechanical) that are impacted by temperature during CMP. Studies indicate that for every consumable set combination (i.e., slurry and polishing pad) a characteristic combined Arrhenius activation energy can be calculated for each substrate material being polished. © 2004 The Electrochemical Society. All rights reserved. Yan, J., Seif, D., Raghavan, S., Barnaby, H. J., Vermeire, B., Peterson, T., & Shadman, F. (2004). Sensor for monitoring the rinsing of patterned wafers. IEEE Transactions on Semiconductor Manufacturing , 17(4), 531-537. Abstract: Developing efficient wafer cleaning and rinsing requires technology for on-line monitoring of the wafer cleanliness. An electrochemical sensor is designed, fabricated, and tested to measure the concentration of residual contaminants on the wafer surface during the rinse process. The sensor is based on the real time and in situ measurement of electrical impedance across a trench microstructure. The sensor's output signal is proportional to the concentration of impurities remaining in the trench and, therefore, is a measure of the progress of the rinse in cleaning the wafer surface. Electrical measurements, circuit analysis, and direct testing of the device at known impurity levels are used to select and design a suitable sensor configuration. The results confirm the feasibility and sensitivity of the device applicable to typical wafer rinsing conditions. Yao, M. A., Wilson, A. R., McManus, T. J., & Shadman, F. (2004). Comparative analysis of the manufacturing and consumer use phases of two generations of semiconductors. IEEE International Symposium on Electronics and the Environment , 97-103. Abstract: The manufacture and use phases have been identified as the two phases in which manufacturers can exert the most direct and immediate influence on environmental performance through design for the environment, operational and management initiatives. This paper presents the results of an analysis comparing two generations of microprocessors: the Pentium®Pro and the Pentium®4. Similar to previous studies, it examines the manufacture and use stages of the semiconductor and attempts to create an inventory based on life cycle methodology. Levy, P., Rader, S., Lefevre, P., Ina, K., Shadman, F., Sugiyama, M., & Philipossian, A. (2003). Analytical and functional characterization of recycled fumed silica slurries in ILD CMP. Proceedings - Electrochemical Society , 21, 270-276. Abstract: CMP (Chemical and Mechanical Flanarization) technology has played an enabling role in attaining nearperfect planarity of interconnection and metal layers essential for the realization, and miniaturization of high-performance devices. In order to ensure stable and high-performance CMP characteristics, optimization of the slurry, the pad and other consumables is critical. Additionally, the relatively high cost of ownership associated with CMP consumables warrants novel approaches to reduce these expenses. Previous studies have demonstrated the feasibility of regenerating slurry. One study in particular showed that high purity colloidal silica was recommendable for a reclaim use because of its higher dispersion and less clogging nature compared to fumed silica. For this reason, fumed silica slurry was chosen for the study. The goals were to characterize regenerated fumed silica slurry used in ILD CMP utilizing filtration techniques, and to determine if they could be rendered analytically and functionally equivalent to fresh slurries. Raghu, P., Rana, N., Yim, C., Shero, E., & Shadman, F. (2003). Adsorption of Moisture and Organic Contaminants on Hafnium Oxide, Zirconium Oxide, and Silicon Oxide Gate Dielectrics. Journal of the Electrochemical Society , 150(10), F186-F193. Abstract: Hafnium oxide (HfO2) and zirconium oxide (ZrO2) are two high-K materials having the potential to replace silicon oxide (SiO 2) as the gate dielectric. Atmospheric molecular contamination can affect the quality of the new gate dielectric film in a manner similar to SiO2. Characterization of contaminant adsorption behavior of these high-K films should assist in deciding their potential for successful integration in silicon metal oxide semiconductor technology. The interaction of moisture and organics (in particular, isopropanol, IPA) as common interfacial contaminants with a 5 nm HfO2 film deposited by atomic layer chemical vapor deposition (ALCVD), which is a trademark of ASM International) is investigated using atmospheric pressure ionization mass spectrometry (APIMS) ; the kinetics and mechanism are compared to that of ZrO2 and SiO2. HfO2 and ZrO2 have similar moisture adsorption loading, but are significantly higher than that of SiO2. However, almost all the adsorbed moisture can be removed from SiO2 and HfO2 after a 300°C bake under nitrogen purge, whereas ZrO2 surfaces retain 20-30% of the adsorbed moisture. Experiments with IPA show that the adsorption loading on the three surfaces has the following order; ZrO2 > HfO2 > SiO2. A multilayer model for adsorption of water and IPA is developed to understand the mechanism of interactions of contaminants with the three surfaces. Results from the application of this multilayer model to the experimental data indicate that ZrO2 forms the strongest surface-hydroxyl (X-OH) bond. © 2003 The Electrochemical Society. All rights reserved. Rana, N. B., & Shadman, F. (2003). Effect of interfacial and bulk organic contamination on the quality of thin silicon oxide. IEEE Transactions on Semiconductor Manufacturing , 16(1), 76-81. Abstract: The effect of organic contamination of silicon (HF-last cleaned) and silicon dioxide (as-received) wafer surfaces on the quality of gate oxide was studied. Controlled contamination by model organics as well as cleanroom contamination conditions were investigated. Wafers were oxidized under oxidizing or inert ramp-up ambient to grow ultrathin thermal oxides (30 Å). Surface and electrical characterization of the oxides was done by Auger sputter profiling, tunneling atomic force microscopy (TAFM) and gate oxide integrity (GOI) measurements. For oxides grown in an inert ambient during ramp-up, HF-last cleaned wafers had a large number of carbon-based defects as compared to as-received wafers. Oxygen in the ramp-up ambient oxidized and volatilized organics resulting in good quality thin gate oxides for HF-last cleaned wafers. However, for as-received wafers, the defect density was increased in an oxidizing ramp-up ambient. A probable mechanism for degradation of the gate oxide quality on HF-last wafers in an inert ramp-up ambient is investigated. Yan, J., Barnaby, H. J., Vermiere, B., Peterson, T., & Shadman, F. (2003). Test structures for analyzing the mechanisms of wafer chemical contaminant removal. IEEE International Conference on Microelectronic Test Structures , 209-213. Abstract: The design of an electrochemical sensor to measure wafer contaminant concentrations during ultrapure water rinses is discussed in the article. The techniques discussed in this paper also demonstrate the need to have additional monitor devices on-chip that enable the characterization of unwanted parasitic devices. The results obtained from the experiments conducted will provide, for the first time, data on the removal rates of contaminants from deep trenches, thereby enabling the identification of mechanisms and the development of models for wafer contaminant removal in advance semiconductor processes. Rana, N., Raghu, P., & Shadman, F. (2002). Kinetics and mechanism of carbon incorporation in ultrathin silicon-based dielectric films. Journal of the Electrochemical Society , 149(5), F35-F42. Abstract: The effect of various processing conditions on the extent of adsorption of organics and incorporation of carbon in Si/SiO2 during thermal oxidation is investigated. The key parameters studied are preoxidation cleaning, temperature-ramp rate and ambient. gas-phase impurity concentration, and the presence of moisture. A novel method based on the catalytic oxidation of organics is developed to monitor and characterize the outgassing of organics. Results show that SC1-last surfaces adsorb more polar organics than do HF-last surfaces; this results in a higher amount of carbon incorporation. HF-last surfaces, however, retain a larger fraction of the adsorbed organics. Addition of oxygen to the temperature-ramp ambient reduces the extent of carbon incorporation. The kinetics and mechanisms of carbon incorporation in Si/SiO2 substrates are investigated. A reaction model based on the competitive processes of desorption, readsorption, decomposition, oxidation, and chemisorption of the adsorbed organics is developed. This model provides a better understanding of one of the key aspects of defect formation in silicon-based dielectric thin films. © 2002 The Electrochemical Society. All rights reserved. Rana, N., Raghu, P., Shero, E., & Shadman, F. (2002). Interactions of moisture and organic contaminants with SiO2 and ZrO2 gate dielectric films. Applied Surface Science , 205(1-4), 160-175. Abstract: Zirconium oxide (ZrO2) is a promising candidate for future high-k gate dielectric applications. Atmospheric molecular contaminants may impact the quality and performance of zirconium oxide thin films. The interaction of moisture and organics (in particular IPA) as common interfacial contaminants with a 5nm ZrO2 film deposited by ALCVD™ is investigated using atmospheric pressure ionization mass spectrometry (APIMS); the kinetics and mechanism are compared to that of silicon oxide (SiO2). The ZrO2 surface was found to have a higher affinity for moisture and IPA than SiO2. Under similar conditions, the amounts of moisture and IPA adsorbed on ZrO2 were comparatively greater and more temperature sensitive than on SiO2. ZrO2 films also retained a significant amount of moisture that could prove detrimental during subsequent thermal processing. At high temperatures, ZrO2 was found to catalyze decomposition of IPA. IPA adsorption on SiO2 was increased by pre-adsorbed moisture and it led to the formation of alkoxy groups at elevated temperatures. On the other hand, adsorption on ZrO2 was site limited; consequently, less IPA was adsorbed in presence of pre-adsorbed moisture. © 2002 Elsevier Science B.V. All rights reserved. Baochun, W. u., Peterson, T. W., Shadman, F., Senior, C. L., Morency, J. R., Huggins, F. E., & Huffman, G. P. (2000). Interactions between vapor-phase mercury compounds and coal char in synthetic flue gas. Fuel processing technology , 63(2), 93-107. Abstract: Data suggest that coal-fired power plants are a significant source of atmospheric mercury. Predicting emissions of mercury and the speciation of mercury in combustion emissions cannot be done without a fundamental understanding of the chemical reactions of mercury in flue gas. In this work, chars generated from three coals were used as sorbent material for both elemental mercury and mercuric chloride. The temperature of the source as well as the char sorbent was carefully controlled at either 343 or 433 K (70 or 160 °C). When exposed to a synthetic flue gas consisting of O2, H2O, CO2, and N2, both Hg0 and HgCl2 were adsorbed by coal char. The rank of the coal seemed to have a large effect on the adsorption of Hg0, but not on adsorption of HgCl2. The bituminous chars adsorbed similar amounts of Hg0, while the sub-bituminous char adsorbed almost an order of magnitude less. The amount of Hg0 adsorbed did not appear to be correlated with the sulfur content of the char. The rank dependence suggests that some other characteristic of the char, for example, pore structure or surface functional groups may be important for adsorption of elemental mercury. Adsorption of HgCl2 was higher by a factor of two for the bituminous chars and 50 times higher for the sub-bituminous char. The adsorption of HgCl2 showed less differences as a function of coal rank and a better agreement among all chars with respect to char surface area. This suggests that adsorption of HgCl2 on char may be by a physical adsorption process and, therefore, char surface area would be a good indicator of capacity for HgCl2. Kin, K., & Shadman, F. (2000). Mechanisms for synergistic oxidation of organics in ultrapure water systems. IEEE Transactions on Semiconductor Manufacturing , 13(1), 1-9. Abstract: A mechanistic model is developed for the distribution, oxidation, and removal of organic impurities in typical polishing loops of ultrapure water (UPW) plants. The model is applied to the case of the oxidation of organics by ultraviolet (UV), ozone, and a unique method of adding ozone to the UV unit. The model is validated with direct experimental measurements using various oxidation tests. In particular, the accumulation problem related to the recalcitrant (hard to remove) impurities in the UPW systems with recycle is explained. The model is also used to analyze the dynamic behavior of polishing and reclaim/recycle loops. The results show the potential oscillatory behavior of UPW loops in case of impurity surges. This behavior is important and needs to be prevented to avoid metrology and control problems. Shadman, F., Seif, D., & Peterson, T. (2000). Fundamentals of wafer rinse processes and the interactions with water conservation and recycling in semiconductor manufacturing plants. Diffusion and Defect Data Pt.B: Solid State Phenomena , 76-77, 189-190. Abstract: A study was conducted to directly measure the rate of rinse process and chemical removal from structures on typical patterned waters. Results indicate that the reduction of water usage during rise needs to be optimized to achieve the best results for the overall water and energy conservation strategy. Gotlinsky, B., O'Sullivan, J., Shadman, F., Horikoshi, M., & Babasaki, S. (1998). PPT purification eliminates process variables. Solid State Technology , 41(4), 67-74. Abstract: A reactive filter for point-of-use (POU) purification can attain gas purity at the low-single-digit parts per trillion (ppt) level. A composite of intercalate reactive metal compounds forms an integral part of the existing fibrous filter matrix to create a POU purification surface. The reactive sites are located on the stainless steel filter medium to ensure contact and subsequent removal of homogeneous impurities. Senior, C. L., Morency, J. R., Huffman, G. P., Huggins, F. E., Shah, N., Peterson, T., Shadman, F., & Wu, B. (1998). Interactions between vapor-phase mercury and coal fly ash under simulated utility power plant flue gas conditions. Proceedings of the Air & Waste Management Association's Annual Meeting & Exhibition , 12pp. Abstract: A research program has been designed to address the major mechanisms for speciation and partitioning. Chars generated from three coals (Pittsburgh, Illinois 6 and Wyodak) are used as sorbent material for both elemental mercury and mercuric chloride. The temperature of the source as well as the char sorbent is carefully controlled in the range of 343 to 433 K (70 to 160°C). These chars show consistent higher mercury capture in the case of mercury chloride (over elemental mercury) as the mercury source. Elemental mercury reacts chemically with sulfur in the char. HgCl2 does not appear to be reacting with sulfur in the char. The organic sulfur content of the char is a better predictor of the affinity of the char for elemental mercury, while the char surface area appears to be a better indicator of affinity of the char for mercuric chloride. Bohon, E., Shero, E., Shadman, F., Biedrzycki, S., & Seraphin, S. (1997). Outgassing of moisture from anodized aluminum films. Institute of Environmental Sciences - Proceedings, Annual Technical Meeting , 43-48. Abstract: A matrix of different anodized aluminum formulations was characterized using FESEM imaging to determine structural features and TGA to examine the moisture outgassing behavior. Formulations that included a boil sealing step produced a capped structure. Formulations that included an advanced sealing step did not produce this structure and exhibited protracted outgassing responses. A numerical model was developed based on the uncapped structure. The model incorporates structural measurements derived from imaging, and allows calculation of fundamental kinetic and thermodynamic parameters of the film by fitting the predicted outgassing behavior to the experimental data. Croft, J., & Shadman, F. (1997). Dissolution and removal of colloidal silica in ultra pure water systems. Conference Proceedings - Annual Semiconductor Pure Water and Chemicals Conference , 1, 59-70. Abstract: The need for ultrapure water in the semiconductor industry has increased significantly in the last decade. Ultrapure water is used to clean wafer surfaces in the manufacture of semiconductor devices. There exist certain recalcitrant (hard to remove) compounds in the water that can cause defects in these semiconductor devices. This study deals with one of these compounds, that being colloidal silica. Silica comes in three forms: colloidal, dissolved, and particulate. Dissolved and particulate silica are easily removed from water. Colloidal silica, however, is very difficult to remove. It has been shown that colloidal silica can be converted to dissolved silica through dissolution by OH ions. Thus, if the colloidal silica was converted to dissolved silica, it could then be removed from the water. Dissolution of colloidal silica by OH ions would require the addition of another impurity in the water for the OH ion source, such as the addition of a base. This research attempted to determine whether OH radicals, such as those produced by UV lights activation of a photocatalytic surface (TiO2), would also be effective in the conversion of colloidal silica. Degenova, J., & Shadman, F. (1997). Recovery, reuse, and recycle of water in semiconductor wafer fabrication facilities. Environmental Progress , 16(4), 263-267. Abstract: This paper summarizes the benefits and risks associated with water re-use and recycling in the semiconductor industry. The specific items that will be covered in this paper are: characterization of the spent rinse-water types, the composition range of key impurities, different recycling strategies, and water conservation methods. Discussion will include the development of new purification methods for the removal of organic impurities, and the development of a computer model for simulating the effects of recycle. Wibowo, J., Shadman, F., & Blackford, D. (1997). Measuring and removing dissolved and colloidal silica in ultrapure water. MICRO , 15(5), 41-50. Wibowo, J., Shadman, F., & Blackford, D. (1997). Measuring and removing dissolved and colloidal silica in ultrapure water. MICRO , 15(5), 8pp. Abstract: This paper presents a promising new technique for ultrapure water systems that combines ultraviolet radiation and ozone to remove colloidal silica by converting it into dissolved silica. It also discusses the combined used of an on-line dissolved silica monitor and a nonvolatile residue monitor in ultrapure water that gives an overall measurement of both dissolved and colloidal silica in near real time. Wibowo, J., Shadman, F., & Bleckford, D. (1997). Measurement and removal of dissolved colloidal silica in ultrapure water. Conference Proceedings - Annual Semiconductor Pure Water and Chemicals Conference , 1, 43-58. Abstract: As the worldwide manufacture of semiconductors continues to grow, the semiconductor industry needs increasing amounts of ultrapure water. This water, used to physically wash the surface of silicon wafers to remove process contamination, has become a vital part of manufacturing an integrated circuit. The combined use of water purification techniques such as ion exchange, reverse osmosis, filtration, and ultraviolet (UV) sterilization, and other technologies have enabled the semiconductor industry to become the world's largest user of ultrapure water. The presence of silica in high purity water can be particularly detrimental to the manufacture of semiconductors on the surface of a single crystal of silicon. Unfortunately silicon is one of earth's most abundant elements and easily finds its way into all water supplies. The colloidal form of silica is particularly difficult to remove and detect. This paper reviews the different silica measurement procedures available and presents a new method for dissolving colloidal silica using an ultraviolet/ozone technique. Chen, G., & Shadman, F. (1996). Photocatalytic oxidation of chlorinated hydrocarbons in ultrapure water. Institute of Environmental Sciences - Proceedings, Annual Technical Meeting , 82-87. Abstract: A novel photocatalytic filter is developed by depositing a TiO2 (anatase) film on a porous quartz disc. It is found to be compatible with the ultrapure water (UPW) system. SEM micrographs show that the TiO2 film is uniform and the pore size is not lowered. The photocatalyzed oxidation of trace chlorinated hydrocarbons in ultrapure water is investigated. 1,1,1-trichloroethane (1,1,1-TCA), trichloroethylene (TCE) and chloroform are tested as total oxidizable carbon (TOC) model compounds. Significant increase in the overall TOC removal efficiency is observed for all the three chlorinated compounds. Two types of low mercury vapor UV lamps are tested but little difference is observed. A trace amount of ozone is introduced into the ultrapure water stream as an extra oxidant source. The overall TOC removal efficiency is increased but the photocatalytic effect is not enhanced significantly. Chen, G., & Shadman, F. (1996). Removal of process-generated organic impurities from recycled water in semiconductor fabs. Proceedings of SPIE - The International Society for Optical Engineering , 2725, 300-307. Abstract: Oxidation is one of the most effective ways of removing organic impurities from water or recycled waste water. The kinetics and the mechanism of oxidation of two types of organic impurities were studied: soluble but recalcitrant organic impurities and the organic particles such as photo-resists, entering the recycle streams. The UV photolysis and photocatalytic oxidation of organic impurities in ultrapure water were studied in a pilot ultrapure water plant. A novel photocatalytic filter was developed by depositing a layer of photocatalytically active material on an inorganic filter substrate. A number of naturally accruing soluble and particulate organic impurities as well as surfactants were used as model impurities in this study. The photocatalyst enhanced the oxidation by both increasing the adsorption on the filter and enhancing the oxidation reaction through the catalyzed formation of active radicals. Chen, G., & Shadman, F. (1996). Removal of trace surfactant from ultrapure water though UV photolysis and photocatalytic oxidation. Conference Proceedings - Annual Semiconductor Pure Water and Chemicals Conference , 111-124. Abstract: The UV photolysis and photocatalytic oxidation of trace surfactant in ultrapure water was studied in a pilot ultrapure water plant. Two kinds of low mercury vapor pressure UV lamps were used. A novel photocatalytic filter was developed by growing a TiO2 (anatase) layer on a sintered titanium filter. Two commercial surfactants, FC99 and FC170C were test as model compounds. Experimental results show that FC170C was photo-oxidized fast especially under the UV185. The photocatalyst enhanced the oxidation in both increasing the reaction rate and lowering the residual concentration. The shorter UV185 enhanced such photocatalytic effect. FC99 was found to be recalcitrant to both UV wavelengths while the photocatalyst enhanced the oxidation significantly. The UV wavelength had no effect on the photocatalytic effect for this model compound. The possible methods to improve the photocatalytic filter were discussed. Mansoori, M. M., & Shadman, F. (1996). Effect of wafer size on inter-wafer spacing drydown in vertical thermal reactor. Institute of Environmental Sciences - Proceedings, Annual Technical Meeting , 246-250. Abstract: The impurity dynamics inside an inter-wafer region of a Vertical Thermal Silicon Oxidation Reactor has been studied. The study focuses on the effects of wafer size on drydown cycles. While processing larger size wafers has certain economic advantages, much longer drydown cycles are required to achieve acceptable impurity levels and gas phase uniformity inside the inter-wafer spacing. Verma, N. K., Ce, M. a., Shero, E., & Shadman, F. (1996). Sources and transport mechanisms of gaseous impurities in vertical thermal reactors. IEEE Transactions on Semiconductor Manufacturing , 9(3), 312-319. Abstract: This work focuses on the different mechanisms of impurity transport and distribution in process equipment, with particular emphasis on moisture distribution in vertical thermal reactors. The results are important in both control and metrology of gaseous impurities during startup and process cycles. In addition to direct measurements, a comprehensive theoretical model is developed which is useful for process parametric study to optimize the process parameters or improve the reactor design. The results show that the impurity purge during startup is controlled by the diffusion in the wafer spacing; this diffusion becomes a bottleneck for large wafers and high furnace loading. The major sources of impurities during the wafer introduction (wafer push) stage are backdiffusion, impurity diffusion from the wafer spacing and outgassing of wafers as they enter the reactor. The primary sources during operation are permeation through the quartz reactor walls and leakage, together with backdiffusion, from the furnace outlet gaskets. A constant source of impurity is permeation through the polymeric tubing and fittings commonly used on the inlet side of the furnace. The kinetics and the mechanisms of each of these sources are determined through a combination of experimental measurements and process simulation. © 1996 IEEE. Ce, M. a., Shadman, F., Mettes, J., & Silverman, L. (1995). Evaluating the trace-moisture measurement capability of coulometric hygrometry. MICRO , 13(4), 43-49. Abstract: Study data show that an advanced coulometric hygrometer design incorporating a counterflow sensor cell, a moisture addition feature, and signal integration extends the range of the measurements technique to single-digit ppd levels. Characterization of the hygrometer in the integration mode in parallel with an atmospheric pressure ionization mass spectrometer (APIMS) indicated that its accuracy is ±4 ppb, its detection limit is 1 ppd at a 95% confidence limit, and its response time to a 5-ppb moisture intrusion is 50% in 15 minutes. Ce, M. a., Shero, E., Gilbert, S. L., & Shadman, F. (1995). Interactions of moisture impurity on anodized aluminum. Institute of Environmental Sciences - Proceedings, Annual Technical Meeting , 463-467. Abstract: Moisture impurity adsorption and desorption from anodized aluminum layers was studied using atmospheric pressure ionization and electron-impact ionization mass spectroscopic techniques. In this work, one inch OD tubular samples (Sample A) from a major semiconductor tool manufacturer and 1 inch×4 inches×1/8 inch flat coupon samples (Sample B) from a company who specializes anodizing processes were studied. Strong moisture interaction with porous anodized aluminum layers was observed in the work. Shero, E., Ce, M. a., & Shadman, F. (1995). Fundamentals of moisture interaction with EP stainless steel and silicon wafer surfaces. Institute of Environmental Sciences - Proceedings, Annual Technical Meeting , 542-548. Abstract: A model for the outgassing of metal oxide surfaces with multilayers of adsorbed moisture is presented. A brief background on the state of adsorption and desorption modeling and possible experimental pitfalls is also contained. The dynamic model is consistent with the BET multimolecular model at equilibrium. Wu, B., Jaanu, K. K., & Shadman, F. (1995). Multi-functional sorbents for the removal of sulfur and metallic contaminants from high-temperature gases. Environmental Science and Technology , 29(6), 1660-1665. Abstract: A multi-functional sorbent is developed for the simultaneous removal of alkali vapor, toxic metal vapors, and sulfur oxides from combustion gases. The sorbent is tested in a bench-scale reactor at the 800-1000 °C temperature range, using simulated flue gas containing controlled amounts of sodium, potassium, lead, and sulfur vapor compounds. The kinetics of sorption for these contaminants, both individually and in combination, are measured. In general, the sorption process consists of adsorption followed by the diffusion of the metal in the product layer and finally reaction with the sorbent. The product layer is a porous alkali aluminosilicate in the case of alkali and a molten lead aluminosilicate in the case of lead. SO2 reacts with the calcium sites distributed over the aluminosilicate matrix. The tailored sorbent is effective in simultaneous removal of the tested contaminants; it even shows synergistic removal in some cases. Xiaoyang, D. u., & Shadman, F. (1995). A new process for production of oxygen from lunar minerals. SAE Technical Papers . Abstract: The carbothermal reduction of ilmenite and iron- bearing silicates are important in the manufacture of steel and perhaps for manufacture of oxygen on the moon. Oxygen recovery from ilmenite and iron silicates is of interest because of the abundance of such minerals on the lunar surface and the relative ease of their reductions. A novel carbothermal reduction process is developed for the reduction of these minerals. This presentation summarizes an experimental study of the carbothermal reduction of ilmenite and iron-bearing silicates at temperatures between 850°C and 1100°C. Extremely high reduction rates are observed and investigated for carbothermal reduction of ilmenite by using deposited carbon. These results are compared to previous kinetics studies with regards to the different activation energy values reported. Fayalite, the iron end member of the olivine series(Fe,Mg) 2SiO4, is initially reduced into a intermediate Fe 2-xSiO4-y and Fe; At low temperatures(below 1000°C), the major reduction products are α-Quartz and Fe, but at higher temperatures (above 1100°C), the major products are α-Cristoblite and Fe. The iron formed during the reduction is segregated from the SiO2 phase. This is different from hydrogen reduction which results in iron distribution throughout the SiO2 phase. © Copyright 1995 Society of Automotive Engineers, Inc.
Haider, A. M., Ce, M. a., & Shadman, F. (1994). Interactions of ceramic, metallic and polymeric filters with gaseous contaminants. Journal of the IES , 37(3), 19-25. Abstract: Outgassing characteristics of ceramic, metallic, and polymeric filters for H2O, O2, CO2, and CH4 were explored using APIMS. The outgassing data have been normalized with respect to the parameters that varied from one filter to the other. Hydrocarbon outgassing is also explored both at room temperature from freshly installed filters and at elevated temperatures. Polymeric filters appeared to be more transparent but did show hydrocarbon outgassing when heated to 50 °C. Scotto, M. V., Uberoi, M., Peterson, T. W., Shadman, F., & Wendt, J. O. (1994). Metal capture by sorbents in combustion processes. Fuel Processing Technology , 39(1-3), 357-372. Abstract: The use of sorbents to control trace metal emissions from combustion processes was investigated, and the underlying mechanisms governing the interactions between trace metals and sorbents, were explored. Emphasis was on mechanisms in which the metal vapor was reactively scavenged by simple commercial sorbents, to form water unleachable products, which are easy to collect and isolate from the environment. Results are presented from two different scales of experimentation, involving a bench scale thermo-gravimetric reactor and a 17 kW down-fired laboratory combustor, respectively. Results from the bench scale tests showed that lead and cadmium, vaporized from the chloride salt, could be reactively captured at temperatures above the dew point. Both kaolinite and bauxite were effective sorbents for lead, while bauxite but not kaolinite was effective for cadmium. The primary reaction products, as identified by X-ray diffraction analyses, consisted of lead and cadmium aluminosilicates. Laboratory combustor tests, completed in the absence of coal char or coal ash particles, showed that lead could be effectively reactively scavenged in situ, in a combustor, downstream of the primary flame. Here, the high temperatures of the combustion process were being exploited to promote the reactions between the metal vapor and kaolinite sorbent, that were identified in the bench scale tests. © 1994. Ce, M. a., Haider, A. M., & Shadman, F. (1993). Atmospheric pressure ionization mass spectroscopy for the study of permeation in polymeric tubing. IEEE Transactions on Semiconductor Manufacturing , 6(4), 361-366. Abstract: Polymeric tubes are used in the semiconductor manufacturing industry to provide mechanical flexibility and electrical insulation. Since polymeric tubing has higher permeation rate compared to metal tubing, it can easily become a source of contamination in ultrapure gas distribution and delivery systems. In this study, an Atmospheric Pressure Ionization Mass Spectrometer (APIMS) is used to determine the permeation coefficients for two widely used polymeric tubing, PFA and Kel-F (PCTFE), at 25°C and 75°C. In the experiments, an ultra-high purity N2 gas flow was maintained through the test tubing. The net impurity uptake by nitrogen due to the permeation of O2, CO2, H2O, and CH4 from surrounding air into the polymeric tubing was measured by APIMS with sub-ppb sensitivities. CH4 had the highest and O2 had the lowest permeation coefficients. Results showed that Kel-F was a superior barrier material for all impurities studied. The permeation coefficients for these polymers increased with temperature but did not change significantly with the permeant partial pressure. Permeability of PFA showed a stronger temperature dependence than that of Kel-F.
Haider, A. M., Ce, M. a., & Shadman, F. (1993). Interactions of ceramic, metallic and polymeric filters with gaseous contaminants. Proceedings, Annual Technical Meeting - Institute of Environmental Sciences , 1, 158-164. Abstract: Outgassing characteristics of ceramic, metallic, and polymeric filters for H2O, O2, CO2, and CH4 were explored using APIMS in this study. The outgassing data has been normalized with respect to the parameters that varied from one filter to the other. Hydrocarbon outgassing is also explored both at room temperature from freshly installed filters as well as at elevated temperatures. Polymeric filters appeared to be more transparent but did show hydrocarbon outgassing when heated to 50 °C. Massieon, C. C., Cutler, A. H., & Shadman, F. (1993). Hydrogen reduction of iron-bearing silicates. Industrial and Engineering Chemistry Research , 32(6), 1239-1244. Abstract: The kinetics and mechanism of the reduction of olivine by H2 have been studied at H2 partial pressures between 0.046 and 0.14 atm and temperatures from 1070 to 1370 K. For Fa93 (Fe1.86-Mg0.14SiO4), the reaction order with respect to H2 is 0.8 and the activation energy is 205 kJ/mol for conversions up to 40%. For Fa100 (Fe2SiO4), the reaction order is 0.5 and the activation energy is 260 kJ/mol. The apparent kinetic parameters do not change significantly as conversion increases from about 15 to 60%. Mg2+ is less reducible than Fe2+, and its presence slows the reaction. The solid products of the reaction are metallic iron and vitreous silica. The products form a nonporous layer around an unreacted core. Permeation of H2 through this layer is important in determining the rate of reaction. © 1993 American Chemical Society. Parks, H. G., O'Hanlon, J. F., & Shadman, F. (1993). Research accomplishments at the university of arizona SEMATECH centre of excellence for contamination/defect assessment and control. IEEE Transactions on Semiconductor Manufacturing , 6(2), 134-142. Abstract: The Arizona SEMATECH Centre of Excellence (SCOE) was established in May of 1988, is funded by SEMATECH and contractually monitored by the Semiconductor Research Corporation (SRC). The SCOE is engaged in research in a broad front to understand and control contamination which causes yield limiting defects in submicron ULSI circuits. Sandia National Laboratory personnel are integrated with UA personnel in the SCOE research. The focus of the research is on contaminants, both particulates and homogenous or distributed , which originate in, are caused by, or are transported and deposited by process gases and chemicals or process equipment. Further, the work involves investigating the mapping from contaminants ad contaminant levels to degradation of device properties. The resulting degradation in device properties can be used to estimate the effects of such contaminants for submicron processed and circuits. results achieved during the four years of the SCOE's existence are describe in this paper. Verma, N. K., Haider, A. M., & Shadman, F. (1993). Contamination of ultrapure systems by back-diffusion of gaseous impurities. Journal of the Electrochemical Society , 140(5), 1459-1463. Abstract: Diffusion of impurities against the direction of gas flow can be a significant source of contamination in the ultrapure gas systems. The mechanism and the kinetics of impurity transport due to back-diffusion is studied both experimentally and theoretically. A model is developed to simulate the process and calculate the extent of impurity transport due to back-diffusion. Experiments for measuring oxygen back-diffusion in a nitrogen carrier stream are conducted. The data and the model predictions are in good agreement. Back-diffusion involves both bulk and surface diffusion and is higher for lower pressures, lower flow rates, larger tube diameters, and for smaller nonadsorbing molecules. Cumpston, B., Shadman, F., & Risbud, S. (1992). Utilization of coal-ash minerals for technological ceramics. Journal of Materials Science , 27(7), 1781-1784. Abstract: Glasses synthesized from Utah bituminous coal-ash melts were crystallized to form glass ceramics to determine the feasibility of coal-ash utilization. The use of additives to promote glass formation and catalysts to serve as nucleation sites for crystallization was studied. The microstructure of the crystalline phase was investigated using X-ray diffraction, scanning electron microscopy and energy dispersive X-ray spectroscopy. The bulk glasses and glass-ceramics were evaluated by Knoop microhardness and density measurements. The crystalline phase formed has been identified as anorthite, CaAl2Si2O8. Crystallization of the ash was possible up to a maximum of approximately 40%. The use of TiO2 as a nucleation catalyst did little to improve the degree of crystallinity; however, the crystal phase became better defined when this catalyst was used, even in small amounts. © 1992 Chapman & Hall. Governal, R. A., & Shadman, F. (1992). Oxidation and removal of organic particles in high-purity water systems using ozone and UV. ULTRAPURE WATER , 9(4), 44-46+48+49. Governal, R. A., & Shadman, F. (1992). Sanitization: Design of high-purity water plants: fundamental interactions in removal of organic contamination. ULTRAPURE WATER , 9(6), 36-37+39. Governal, R. A., Bonner, A., & Shadman, F. (1992). Effect of system interactions on the removal of total oxidizable carbon from DI water polishing loops. IEEE Transactions on Semiconductor Manufacturing , 5(1), 70-73. Abstract: Ultra-pure water systems in semiconductor plants consist of many components. Although the operating principles behind each component are well-known, the interactions between system components, including cancellation and synergism, are not generally understood and taken into account. In this study, two examples of these interactions are studied and analyzed: UV interactions with membrane filters and UV interactions with ion exchange units. The results indicate that the sequencing of UV and filter affect the total oxidizable carbon removal efficiency and it is preferable to have filter before UV. UV followed by ion exchange is an effective configuration for some impurities but can be undesirable for some contaminants and particles. Governal, R. A., Yahya, M. T., Gerba, C. P., & Shadman, F. (1992). Comparison of assimilable organic carbon and UV-oxidizable carbon for evaluation of ultrapure-water systems. Applied and Environmental Microbiology , 58(2), 724-726. PMID: 1610195;PMCID: PMC195312;Abstract: Bacterial growth potential was measured in an ultrapure-water pilot plant by modified assimilable organic carbon (AOC) and UV-oxidizable carbon tests. An ion-exchange unit increased UV-oxidizable carbon, yet did not significantly (P ≥ 0.05) alter AOC values. UV radiation decreased UV- oxidizable carbon and increased AOC. Parks, H. G., O'Hanlon, J., & Shadman, F. (1992). Research accomplishments at the University of Arizona SEMATECH Center of Excellence for contamination/defect assessment and control. IEEE/SEMI Advanced Semiconductor Manufacturing Conference and Workshop , 9-16. 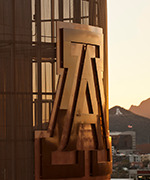 Abstract: The Arizona SEMATECH Center of Excellence (SCOE) was established in May of 1988. The SCOE is engaged in research on a broad front to understand and control contamination which causes yield-limiting defects in submicron ULSI circuits. Sandia National Laboratory personnel are integrated with UA personnel in the SCOE research. The focus of the research is on contaminants, both particulates and homogeneous or distributed, which originate in, are caused by, or are transported and deposited by process gases and chemicals or process equipment. Further, the work involves investigating the mapping from contaminants and contaminant levels to circuit defects for submicron processes and circuit technologies. Results achieved during the three years of SCOE's existence are described. Ramohalli, K., Shadman, F., & Sridhar, K. R. (1992). Materials and structures synergistic with in-space materials utilization. Array , 714-725. Abstract: The objective of this paper is to clearly demonstrate the significant advances made in recent months toward actual hardware realizations of various concepts for the utilization of in-space materials utilization (ISMU). The remarkable cost reductions possible with ISMU have been amply described elsewhere, and those virtues will not be extolled here. The basic point made in this paper is that ISMU has advanced far past stages of novelty, feasibility evaluations, paper studies, and system optimizations. Hardware components, and some simple complete systems, are available today for serious consideration by mission planners. Governal, R. A., Yahya, M. T., Gerba, C. P., & Shadman, F. (1991). Oligotrophic bacteria in ultra-pure water systems: Media selection and process component evaluations. Journal of Industrial Microbiology , 8(4), 223-228. Abstract: Presently, tryptic soy agar (TSA) medium is used in the semiconductor industry to determine the concentration of viable oligotrophic baeteria in ultra-pure water systems. Deionized water from an ultra-pure water pilot plant was evaluated for bacterial growth at specific locations, using a non-selective medium (R2A) designed to detect injured heterotrophic as well as oligotrophic bacteria. Results were compared to those obtained using Tryptic Soy Agar. Statistically greater numbers of bacteria were observed when R2A was used as the growth medium. Total viable bacterial numbers were compared both before and after each treatment step of the recirculating loop to determine their effectiveness in removing bacteria. The reduction in bacterial numbers for the reverse osmosis unit, the ion exchange bed, and the ultraviolet sterilizer were 97.4%, 31.3%, and 72.8%, respectively, using TSA medium, and 98.4%, 78.4 %, and 35.8% using R2A medium. The number of viable bacteria increased by 60.7% based on TSA medium and 15.7% based on R2A medium after passage of the water through an in-line 0.2-μm pore size nylon filter, probably because of the growth of bacteria on the filter. Our results suggest that R2A medium may give a better representation of the microbial water quality in ultra-pure water systems and therefore a better idea of the effectiveness of the various treatment processes in the control of bacteria. Governal, R., Bonner, A., & Shadman, F. (1991). Effect of component interactions on the removal of organic impurities in ultrapure water systems. IEEE Transactions on Semiconductor Manufacturing , 4(4), 298-303. Abstract: The interaction among the components of the ultrapure water systems in semiconductor plants is explored. Two important examples of these interactions are investigated: interactions of ultraviolet (UV) radiation units with membrane filters and interactions of UV with ion-exchange units. Both experimental and theoretical techniques are developed to study these interactions. The results indicate that the sequencing of UV and filter units affect the efficiency of total oxidizable carbon (TOC) removal. In particular, the efficiency is higher when the filter is before UV. Interaction between UV and ion exchange is desirable for the removal of recalcitrant, low-molecular-weight organic compounds such as ethanol, but undesirable for the removal of high-molecular-weight charged compounds such as bacterial lipopolysaccharides, alginic acids, humic acids, methionine, and glycine. Haider, A. M., & Shadman, F. (1991). Desorption of moisture from stainless steel tubes and alumina filters in high purity gas distribution systems. IEEE transactions on components, hybrids, and manufacturing technology , 14(3), 507-511. Abstract: The mechanism of moisture desorption from both stainless steel and 80% alumina surfaces is studied. A difficulty associated with moisture is its strong adsorption on various gas distribution surfaces and its slow desorption due to a very high activation energy. A unique experimental setup to determine desorption under gas flow conditions by monitoring the moisture concentration at the system outlet is described. A simple analytical technique is presented to analyze the desorption data so acquired, in an effort to normalize the results and thus making them system independent. Desorption rate constants for stainless steel and ceramic (80% alumina) surfaces are calculated using this model at a constant temperature. Uberoi, M., & Shadman, F. (1991). Simultaneous condensation and reaction of metal compound vapors in porous solids. Industrial and Engineering Chemistry Research , 30(4), 624-631. Abstract: High-temperature interactions of metal compound vapors with solids are important in processes like coal conversion, waste incineration, catalyst poisoning, chemical vapor deposition, and chemical vapor infiltration. In this study, the interactions of alkali-metal vapors with porous aluminosilicate solids are investigated. This system exhibits many general features of interactions of metal compound vapors with porous solids. In general, depending on the metal compound vapor concentration, two sorption mechanisms are possible: (a) direct reaction of metal vapor with the solid; (b) condensation in the pores of the solid and subsequent reaction of condensate with the solid. The important kinetic parameters for both mechanisms are determined. The fraction of alkali metal captured due to pore condensation increases with an increase in temperature. A theoretical model has been developed to simulate the processes of surface condensation, pore condensation, and chemical reaction occurring during interactions of saturated metal compound vapors with porous solids. Uberol, M., & Shadman, F. (1991). High-temperature removal of cadmium compounds using solid sorbents. Environmental Science and Technology , 25(7), 1285-1289. Abstract: Emission of cadmium compounds is a major problem in many combustors and incinerators. In the present work, the use of solid sorbents for removal of cadmium compounds from high-temperature flue gases is investigated. The sorbents tested were silica, alumina, kaolinite, emathlite, and lime. Compounds containing aluminum oxide show high cadmium removal efficiency. In particular, bauxite has the highest rate and capacity for cadmium capture. The overall sorption process is not just physical adsorption, but rather a complex combination of adsorption and chemical reaction. Zhao, Y., & Shadman, F. (1991). Reduction of ilmenite with hydrogen. Industrial and Engineering Chemistry Research , 30(9), 2080-2087. Abstract: The kinetics and the mechanism of reduction of synthetic ilmenite by hydrogen in the temperature range of 807-1014°C were investigated. At temperatures below 876°C, the temporal profiles of conversion have a sigmoidal shape and indicate the presence of three different stages (induction, acceleration, and deceleration) during the reduction reaction. The apparent activation energy for the reaction is 22.3 kcal/mol, whereas the intrinsic activation energy is 16.9 kcal/mol. Scanning electron microscopy and energy-dispersive X-ray analyses show that the diffusion of Fe product away from the reaction front and through the TiO2 phase, followed by the nucleation and growth of a separate Fe phase, is an important step affecting the process kinetics. X-ray diffraction and wavelength-dispersive X-ray results indicate that the TiO2 can be reduced to lower oxides of titanium at temperatures higher than 876°C. Governal, R., Bonner, A., & Shadman, F. (1990). Effect of system interactions on the removal of TOC from DI water polishing loops. 1990 Proceedings, IEEE/CHMT Ninth International Electronic Manufacturing Technology Symposium , 141-144. Abstract: Ultrapure water systems in semiconductor plants consist of many components. The purpose is to explore the interactions of these units when they are placed in series and the effect of sequencing of these units and to establish conditions where these techniques can be used in combination. Two examples of these interactions are studied: UV interactions with membrane filters and UV interactions with the ion exchange units. An ultraviolet sterilization unit (Aquafine SL-1-TOC) generated radiation at both 185 nm and 254 nm wavelengths. The results indicate that the sequencing of UV and filter affects the TOC removal efficiency and that it is preferable to have a filter before UV. UV followed by ion exchange is an effective configuration for some impurities but can be undesirable for some contaminants and particles. Haider, A., & Shadman, F. (1990). Desorption of moisture from stainless steel tubes and ceramic filters in high purity gas distribution systems. 1990 Proceedings, IEEE/CHMT Ninth International Electronic Manufacturing Technology Symposium , 162-165. Abstract: The mechanism of moisture desorption from both stainless steel and ceramic surfaces is studied. A unique experimental setup was designed and utilized to determine desorption under gas flow conditions by monitoring the moisture concentration at the system outlet. A simple analytical technique that was used to analyze the desorption data so acquired, in an effort to normalize the results and thus make them system independent, is presented. Desorption rate constants for stainless steel and ceramic (85% alumina) surfaces are calculated using this model at a constant temperature. Shadman, F., Governal, R., & Bonner, A. (1990). Interactions between UV and membrane filters during removal of bacteria and TOC from DI water. Proceedings, Annual Technical Meeting - Institute of Environmental Sciences , 221-223. Abstract: An important issue which has received very little attention in the design of deionized water polishing loops is the optimum sequencing of membrane filters with the UV treatment units. The primary objective of this paper was to investigate the interactions between UV 185 treatment and filtration through membranes. In general, the sequencing of various units in the polishing loop is an important factor in developing optimum strategies for toxic organic compound (TOC) removal. The results of this study indicate that under most conditions TOC can be removed more effectively if the filter is placed before the UV unit. Uberoi, M., & Shadman, F. (1990). Sorbents for removal of lead compounds from hot flue gases. AIChE Journal , 36(2), 307-309. Abstract: Since strict regulations have been placed prohibiting the placement of hazardous wastes in landfills, incineration is emerging as the principal and most attractive alternative for disposal of hazardous wastes. Using chemical equilibrium analysis, it has been shown that when chlorine-containing wastes are incinerated, lead compounds exist predominantly as PbO, PbCl2 and PbCl4 in the flue gas. In the presence of sufficient sulfur, PbSO4 may also be formed. For safe incineration of lead-containing wastes, the concentration of lead compounds in the flue gas has to be reduced to tolerable levels as specified by the environmental regulation agencies. A promising technique for the removal of lead compounds from flue gases is that of passing the lead laden flue gas through a fixed bed of an appropriate sorbent. Uberoi, M., Punjak, W. A., & Shadman, F. (1990). The kinetics and mechanism of alkali removal from flue gases by solid sorbents. Progress in Energy and Combustion Science , 16(4), 205-211. Abstract: Kaolinite, bauxite and emathlite have been found suitable for alkali removal from hot flue gases in coal conversion systems. The effect of temperature on the kinetics and mechanism of alkali adsorption/reaction on these sorbents was studied under a simulated flue gas atmosphere. Kaolinite and emathlite reacted irreversibly with the alkali; however for bauxite, 10% of the total weight gained was due to physisorption. Kaolinite was found to have the highest capacity and the largest activation energy for alkali removal. The overall sorption process is not just physical and non-selective, but rather a combination of physical and chemical processes, which are dependent on the temperature and sorbent chemistry. The reaction product of alkali with emathlite has a melting point of approximately 1270 K, while kaolinite and bauxite form compounds with a melting point of about 1870 K. Consequently, kaolinite and bauxite are more suitable for in situ removal of alkali, while all three can be used for downstream alkali removal. © 1990. Zhao, Y., & Shadman, F. (1990). Kinetics and mechanism of ilmenite reduction with carbon monoxide. AIChE Journal , 36(9), 1433-1438. Abstract: The purpose of this study is to understand the fundamental mechanism and reaction kinetics of the CO-ilmenite reaction. Carbon monoxide is an important reducing gas because first of all, it is an intermediate product in any carbothermal reduction process. Secondly, CO reduction is potentially an attractive process in which a variety of initial carbonaceous compounds can be used as primary reducing agents for the production of CO. The results indicate that the process involves the migration of iron towards the grain boundaries during the reduction, causing separation and segregation of the products: iron and titanium dioxide (rutile) in the grain level. TYhe temporal profiles of conversion indicate the presence of three different stages during the reduction reaction: induction, acceleration, and deceleration. Punjak, W. A., Uberoi, M., & Shadman, F. (1989). High-temperature adsorption of alkali vapors on solid sorbents. AIChE Journal , 35(7), 1186-1194. Abstract: Vapors of alkali metal compounds can be removed from coal combustion and gasification flue gases using high-temperature aluminosilicate sorbents. The fundamentals of alkali adsorption on kaolinite, bauxite, and emathlite are compared and analyzed both experimentally and through theoretical modeling. The results show that the process is not a simple physical condensation, but a complex combination of diffusion and reaction. The kinetics of adsorption on these sorbents have similarities: the process is diffusion-influenced, the rate decreases with time, and there is a final saturation limit. Punjak, W. A., & Shadman, F. (1988). Aluminosilicate sorbents for control of alkali vapors during coal combustion and gasification. Energy and Fuels , 2(5), 702-708. Abstract: Kaolinite is found to be a suitable sorbent for the removal of alkali from hot flue gases. The kinetics and mechanism of adsorption of NaCl vapor on kaolinite were studied at 800°C under both nitrogen and simulated flue gas (SFG) atmospheres. Under nitrogen, both chlorine and sodium were retained by the sorbent; however, under the simulated flue gas, only sodium was retained. In both cases the adsorption was irreversible. High-resolution scanning Auger analysis of kaolinite particles indicated the formation of a product layer during adsorption. Under the SFG atmosphere the product layer appears to be nephelite, a stable sodium aluminosilicate compound. The rate of adsorption dropped with the increase in alkali loading, and a maximum saturation limit was observed. An analytical model is presented that facilitates the extraction of fundamental kinetic information from experimental results. Shadman, F., & Dombek, P. E. (1988). Enhancement of SO2 sorption on lime by structure modifiers. Canadian Journal of Chemical Engineering , 66(6), 930-935. Abstract: The presence of certain inert compounds in lime can improve the rate and the final limiting conversion significantly during the lime SO2 reaction. This physical effect is primarily due to modification of porosity. In particular, the enhancement appears to be due to increase in macro-porosity and macro-pore diffusivity; this in turn increases the sulfation rate and decreases pore plugging. In certain lime application processes, these compounds (structure modifiers) can be added to lime as beneficial additives to promote the reaction. Experimental data on the effect of kaolin, silica and bauxite as structure modifiers are presented. A theoretical model is developed which explains the observed effects both qualitatively and quantitatively. Shadman, F., & Punjak, W. A. (1988). Thermochemistry of alkali interactions with refractory adsorbents. Thermochimica Acta , 131(C), 141-152. Abstract: The kinetics and mechanism of interactions between alkali vapors and several refractory adsorbents are studied. A unique thermogravimetric reactor is designed and utilized for this study. Bauxite and kaolin are very good adsorbents for alkali chlorides and are potentially good additives for control of alkali during coal combustion and gasification. The experimental data shows that the alkali capturing process is a combination of physisorption, chemisorption and chemical reaction. An analytical model is developed assuming a multi-layer adsorption of alkali on substrate followed by a rate-controlling reaction on the surface. The experimental results and model predictions are in good agreement. © 1988. Morris, R. E., & Shadman, F. (1987). Control of sulphur oxides emission during the roasting of lime-coated metal sulphide pellets. Chemical Engineering Science , 42(1), 9-15. Abstract: A promising method for controlling sulphur oxides emission during the roasting of metal sulphides is with the use of lime-coated sulphide pellets. The roasting of lime-coated zinc sulphide concentrate pellets in air at temperatures between 700 and 800°C is investigated. The experimental data show that these pellets have a very high sulphur retention capability, close to 100% up to approximately 60% sulphide conversion. The concentrate pellet size has no significant effect on sulphur capture. Lowering the temperature in the range investigated and using excess lime improve the sulphur capture without a significant adverse effect on the roasting rate. The sulphur emissions at higher sulphide conversions are primarily attributed to cracking of the lime coating. Preliminary data show that cracking can be reduced by increasing the water content of the initial lime. © 1987. Shadman, F., Sams, D. A., & Punjak, W. A. (1987). Significance of the reduction of alkali carbonates in catalytic carbon gasification. Fuel , 66(12), 1658-1663. Abstract: The catalytic effect of alkali carbonates on carbon gasification depends not only on the initial catalyst loading but also on how these carbonates are reduced to surface complexes during the initial heating of the samples. This effect is primarily due to three important processes which take place simultaneously during the initial heat treatment: 1, catalyst re-distribution on the surface; 2, catalyst loss by vaporization; and 3, change in the substrate surface area due to carbon conversion. © 1987. Sams, D. A., & Shadman, F. (1986). MECHANISM OF POTASSIUM-CATALYZED CARBON/CO//2 REACTION.. AIChE Journal , 32(7), 1132-1137. Abstract: The mechanism of potassium-catalyzed C/CO//2 reaction is studied by a temperature and concentration programmed reaction (TCPR) technique. The proposed redox mechanism contains three surface complexes: -CO//2K, -COK, and -CK. The oxide groups are the intermediates during C/CO//2 gasification. The completely reduced form, -CK, is the end product of catalyst reduction and is the precursor for K loss. The stoichiometries of these surface groups are confirmed by oxygen and potassium balances. Shadman, F., Punjak, W. A., & Sams, D. A. (1986). CATALYST TRANSFORMATION DURING ALKALI-CATALYZED CARBON GASIFICATION.. ACS Division of Fuel Chemistry, Preprints , 31(3), 143-149. Abstract: The kinetics and mechanism of carbon gasification reaction catalyzed by alkali metals have been the subject of numerous studies and comprehensive reviews are available. Although the mechanism of catalyst action is not completely understood, there is a general agreement that the reaction follows a redox mechanism. In this mechanism, the alkali catalyst cycles between an oxidized and a reduced form. During this cycle the catalyst transfers oxygen from the gaseous reactant to the carbon surface; the net effect is production of CO. Presently, the disagreement is on the nature and the stoichiometry of the catalytic intermediate compounds. The purpose of this study is to characterize the mechanism and the kinetics of the processes in which sodium and potassium carbonates are reduced from their initial forms to the catalytic intermediate forms. Bissett, E. J., & Shadman, F. (1985). THERMAL REGENERATION OF DIESEL-PARTICULATE MONOLITHIC FILTERS.. AIChE Journal , 31(5), 753-758. Abstract: A mathematical model is developed to describe the process of thermal regeneration in diesel-particulate monolithic filters. The model shows that a typical regeneration cycle consists of four stages: preheating, ignition, transport-controlled combustion, and cooling. The total regeneration time and the peak temperature are the important regeneration characteristics and can be controlled by initial particulate loading, total filtration area, and channel wall thickness. Sams, D. A., Talverdian, T., & Shadman, F. (1985). Kinetics of catalyst loss during potassium-catalysed CO2 gasification of carbon. Fuel , 64(9), 1208-1214. Abstract: A significant fraction of the potassium catalyst can be lost by vaporization during catalysed carbon gasification. The extent of this loss depends primarily on the reaction start-up procedure. Temperature programmed experiments show that, under inert atmospheres, both KOH and K2CO3 react with carbon to give a reduced form of potassium-carbon complex. The formation of this complex appears to be a prerequisite for the vaporization of potassium. The rate of vaporization at 800 °C follows a first-order expression. Under gasification conditions, only a fraction of the catalyst is in this reduced form; therefore, the rate of catalyst loss during gasification is lower than that under inert atmospheres. The effect of catalyst loss on both the initial gasification rate and the variation in rate with conversion has been determined. © 1985. Sams, D. A., Talverdian, T., & Shadman, F. (1985). TEMPERATURE PROGRAMMED REACTION STUDIES OF POTASSIUM/CARBON INTERACTIONS AND CATALYST LOSS.. ACS Division of Fuel Chemistry, Preprints , 30(1), 341-348. Abstract: The understanding of the reduction of alkali metal catalysts from its initial oxidized form and the identification of the reduced form are necessary requisites for determining the reaction mechanism. Experimental observations indicate that catalyst loss occurs simultaneously with the reduction. In addition, the rate of catalyst loss from the surface is directly influenced by the reduced form it takes. This study provides insight into this subject by examining the reduction of potassium carbonate on the surface of a pure carbon substrate and the accompanying phenomenon of catalyst loss. Shadman, F., & Sams, D. A. (1985). INTERACTIONS BETWEEN CARBON AND ALKALI METALS DURING CATALYTIC CARBON GASIFICATION.. Extended Abstracts and Program - Biennial Conference on Carbon , 182-183. Abstract: The catalytic effect of alkali metals on the gasification rate of carbonaceous materials has been the subject of a number of studies. Despite these efforts, the active form of the catalyst during gasification and the effects of catalyst loss remain unclear. The understanding of the reduction of alkali metal catalysts from its initial oxidized form and the identification of the reduced form are necessary requisites for determining the reaction mechanism. Experimental observations from this laboratory clearly indicate that catalyst loss occurs simultaneously with the reduction. Catalyst loss kinetics suggest that the formation of a reduced form of the catalyst is a prerequisite for rapid vaporization and escape to the gas phase. Shadman, F., Punjak, W. A., & Sams, D. A. (1985). MECHANISM OF ALKALI-CATALYZED CARBON/CO//2 REACTION.. Annual Meeting - American Institute of Chemical Engineers . Abstract: The mechanism of alkali-catalyzed C/CO//2 reaction is studied by a Temperature and Concentration Programmed Reaction (TCPR) technique. The proposed redox mechanism contains three surface complexes: minus CO//2M, minus COM and minus CM. The oxide groups are the intermediates during C/CO//2 gasification. The completely reduced form, minus CM, is the end product of catalyst reduction and is the precursor for catalyst loss. The stoichiometries of these surface groups are confirmed by oxygen and alkali balance. Hamilton, R. T., Sams, D. A., & Shadman, F. (1984). Variation of rate during potassium-catalysed CO2 gasification of coal char. Fuel , 63(7), 1008-1012. Abstract: The instantaneous rate of catalysed CO2 gasification of char at 800 °C was measured at various levels of conversion. One important reason for the change in rate during the gasification is the change in the solid surface area, measured in the present study by CO2 adsorption at 25 °C. The models which have been successful in representing the char porous structure under noncatalytic conditions were found inadequate for catalytic gasification at low conversions. Other important factors contributing to the variation in rate during conversion are the catalyst loss and the change in the catalyst/carbon ratio. A model is presented which combines the effects of these contributing factors and gives a satisfactory representation of the experimental data. © 1984. Sams, D. A., Talveridan, T., & Shadman, F. (1984). CATALYST LOSS DURING CATALYZED GASIFICATION OF COAL CHAR.. Annual Meeting - American Institute of Chemical Engineers . Abstract: An important factor contributing to the change in rate during the catalytic gasification of coal char is the gradual loss of catalyst. Experimental results on the mechanism and the kinetics of catalyst loss are discussed. A model is presented which includes catalyst loss in the prediction of global gasification rate. Shadman, F., & Sams, D. A. (1984). DEFINITION AND DETERMINATION OF THE INTRINSIC RATE OF CATALYZED BOUDOUARD REACTION.. ACS Division of Fuel Chemistry, Preprints , 29(2), 160-164. Hahn, W. A., & Shadman, F. (1983). EFFECT OF SOLID STRUCTURAL CHANGE ON THE RATE OF NO FORMATION DURING CHAR COMBUSTION.. Combustion science and technology , 30(1-6), 89-104. Abstract: During the combustion of coal, the solid structure changes significantly. In particular, the changes in the porosity and surface area effect most of the heterogeneous combustion reactions. The effect of such changes on the rate of NO formation during char combustion is studied. It is shown that a detailed structural model is required to analyze the important features of NO formation. Using a random-pore model, the simultaneous formation and reduction of NO in a single particle are analyzed. Then the model is extended to calculate the profiles of NO, O//2 and carbon conversion in a tubular furnace. It is found that, with structural effects included, a simple reaction scheme gives predictions in good agreement with experimental data. The results also explain why fuel nitrogen is only partially converted to NO even when there is excess oxygen in the bulk gas. Sams, D. A., & Shadman, F. (1983). Catalytic effect of potassium on the rate of char-CO2 gasification. Fuel , 62(8), 880-882. Abstract: The effect of potassium on the rate of char-CO2 gasification at 800 °C was investigated. The instantaneous rate depends on both catalyst concentration ( K C) and the internal porous structure of the solid. At low values of K C atomic ratio, the rate increases sharply with the addition of catalyst. As catalyst concentration is increased, the rate first levels off and then decreases. The levelling off is attributed to the saturation of the surface with catalytic sites. The subsequent decrease in rate seems to be due to the plugging of micropores by catalyst deposits. The reaction rate changes significantly during gasification and drops sharply before gasification is completed. The drop in rate before total conversion can be explained by catalyst accumulation and pore plugging. © 1983. Shadman, F., & Bissett, E. J. (1983). Analysis of thermal regeneration of fibrous diesel-particulate filters. Industrial & Engineering Chemistry, Process Design and Development , 22(2), 203-208. Abstract: Fibrous filters are currently being considered for the removal of exhaust particulates from the exhaust of diesel-powered vehicles. One approach under development is to regenerate these filters on-board by intermittently elevating the exhaust temperature and igniting the particulate deposits. An analytical model which simulates this regeneration process has been developed. The model predicts that the process consists of three stages. During the first stage, regeneration is slow while a temperature peak develops inside the filter. The second stage starts with the onset of a rapid combustion around the temperature peak. During this stage, two reaction fronts are formed inside the filter and move toward the opposite ends of the filter. The downstream peak grows with time and is responsible for the maximum solid temperature (hot spot) in the filter. The final stage is a slow combustion and starts after the downstream section is regenerated. A nonuniform distribution of fiber size along the filter is suggested as an effective technique for lowering the hot spot temperature. Sams, D. A., Hamilton, R. T., & Shadman, F. (1982). EFFECT OF CHAR STRUCTURE ON THE RATE OF CARBON GASIFICATION IN THE PRESENCE OF POTASSIUM.. Annual Meeting - American Institute of Chemical Engineers . Shadman, F., & Hahn, W. A. (1982). EFFECT OF SOLID STRUCTURAL CHANGE ON THE RATE OF NO FORMATION DURING CHAR COMBUSTION.. Annual Meeting - American Institute of Chemical Engineers . Shadman, F., & Cavendish, J. C. (1980). ANALYTICAL MODEL FOR THE COMBUSTION OF COAL PARTICLES.. Canadian Journal of Chemical Engineering , 58(4), 470-475. Abstract: A model for the combustion of coal particles is developed which accounts for the gasification and pyrolysis reactions throughout the particles, oxidation reactions at the particles' outer surface, distributed gas-phase reactions around the particles, and transport of heat and mass throughout the reaction zones. The model shows that the combustion of large particles is dominated by gasification and gas-phase reactions. As large particles burn and shrink, however, the mechanism changes to one dominated by surface oxidaton. This change in mechanism can be gradual or very rapid (even discontinuous) depending on the combustion conditions. The particle size at which this transition takes place decreases as the bulk gas temperature or oxygen concentration increase. Massoudi, M. S., Rashidi, M., & Shadman, F. (1978). Design of an air pollution-monitoring network for Tehran. Journal of Environmental Quality , 7(4), 589-593. Abstract: Tehran, like other large metropolitan areas throughout the world, is challenged by environmental problems associated with rapid growth and economic expansion. The severity of the problem in Tehran suggested that there was a need for an air-monitoring program. It was proposed that the monitoring program be time phased. The first monitoring phase began 1 year ago and involved installation of a central station. The common pollutants that have been measured in this program are sulfur dioxide, carbon monoxide, oxides of nitrogen, ozone, methane, nonmethane hydrocarbons, and particulates. This station has mechanical weather instruments to measure wind speed, wind direction, and temperature to obtain some information about the micrometeorology of the Tehran Basin. The second phase will involve the installation of 10 small single stations. These stations are to be equipped with weather instruments and simple and reliable equipment for measuring NO2, SO2, CO, and particulates. The equipment selected includes high-volume samplers and NO2 and SO2 bubblers. This phase will start shortly and last for a year. The last phase of the program will involve the design, fabrication, and installation of more sophisticated stations. The factors affecting the station siting have been studied. The information needed for the design of the equipment for any of the final stations has been investigated. The data on the trends of the ambient concentration of the main pollutants in Tehran was collected for a period of 4 mo from April through July 1976. Typical diurnal variations in the gaseous pollutant concentration and cumulative frequency distributions of these pollutants are presented in this paper. Shadman, F., & Randolph, A. D. (1978). NUCLEATION AND GROWTH RATES OF AMMONIUM CHLORIDE IN ORGANIC MEDIA: DEVELOPMENT OF AN ON-LINE MEASUREMENT TECHNIQUE.. AIChE Journal , 24(5), 782-788. Abstract: Nucleation and growth rates of small ammonium chloride crystals precipitated from organic mother liquors were measured with an electronic particle counter using an on-line measurement and data reduction technique. Current values for nucleation and growth rates could be obtained within a period of 3 min, thus permitting rapid scanning of variables affecting crystal size distribution. Population average size of 1 to 3 mu were typically measured in these organic liquors. The average size of particles increased with increase in ammonium chloride solubility. Addition of surfactants (sodium dodecylbenzene sulfonate, sodium oleate) either had no effect on nucleation or inhibited growth and nucleation equally, thus did not change particle size. The average size of particles was slightly increased with addition of magnesium chloride. Rashidi, M., Massoudi, M. S., & Shadman, F. (1977). Reduction of carbon monoxide from domestic kerosene heaters. Journal of Environmental Science and Health - Part A Environmental Science and Engineering , A12(3), 115-126. Abstract: An experimental investigation was carried out to develop methods or devices for reducing indoor air pollution caused by kerosene heaters. Efforts were mainly directed toward reducing carbon-monoxide concentrations from these heaters. A test chamber serving as a controlled room was constructed and the combustion gases generated by the heater and exhausted into the chamber were measured. A device applying both the idea of thermal reactor and catalysis was developed, which upon testing proved very effective in reducing carbon-monoxide concentrations. In moderate burning capacities of the heater, the carbon-monoxide level was reduced by a factor of 2 due to the use of the device. In a heater equipped with the device and operating at higher burning capacities, the concentration level of carbon-monoxide was reduced by a factor of 6. Shadman, F. (2016, July). Dynamic Monitoring Cytotoxicity of Nanoscale III-V Materials and CMP Nanoparticles . 11th International Conference on the Environmental Effects of Nanoparticles and Nanomaterials, Golden, CO.. Golden, CO.
Shadman, F. (2016, July). Review of the State of ESH research in SC manufacturing . Semiconwest. Shadman, F. (2016, Oct). Novel copper deposition technique . invited presentation at AMAT.